Chris and Sonja - The Sweet Seattle Life: How Many Teaspoons? Let Me Check the Door. How Many Teaspoons? Let Me Check the Door. Isn't this sweet? 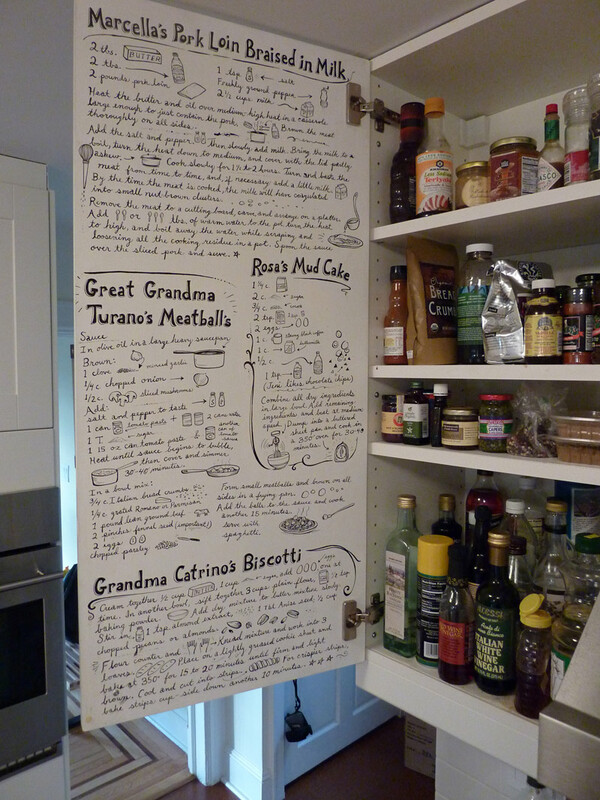 The author had an artist friend write down and embellish a few of their family recipes on the inside of her cabinet door. 'her' recipe, despite what I may have thought for the past 20 years. An ice cream recipe would be nice. I did something similar, but in a far less permanent way. 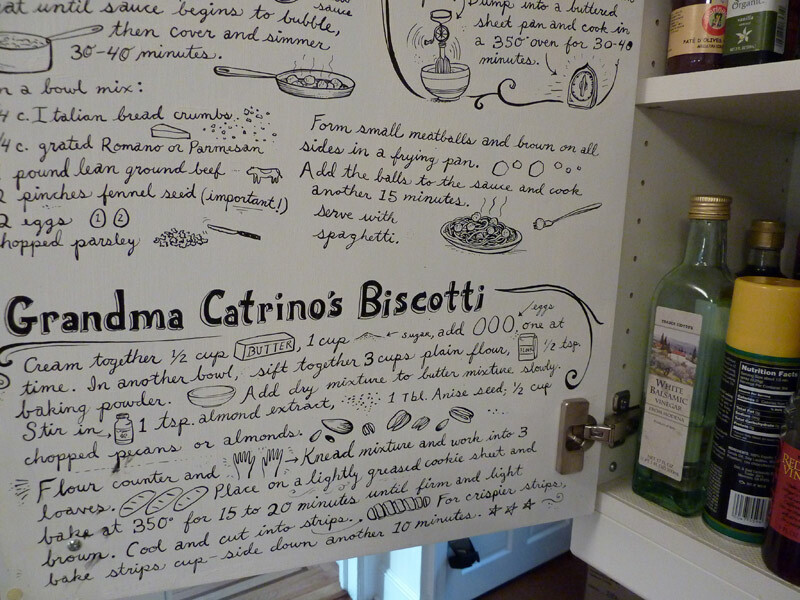 The inside of our spice cupboard has numerous recipes on post it notes for quick reference. And the vast majority of them are for baked goods.